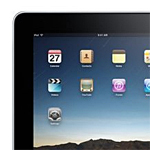 Why I Bought an iPad | Jason Owens | Learn. Teach. Grow. Thought this was really helpful Jason. Thanks for the info! Thanks. Good article. Can you comment on how you got the keepass database onto your ipad to use with mykeepass? Sure, there are two ways I know of, one of which appears to be not working right now. On the home screen of the app hit the “+” icon to create or add a file. Selecting “Upload From Desktop” publishes a URL that you are supposed to be able to connect to on your network via a browser to upload file(s) to the app. Using “Download From Web” will pull content down from a specified URL and save it in the app. Assuming good security, you could use a free app like DropBox to upload your file to your DropBox folder, get the URL of the file, and pull it in that way. Or if you can publish it locally via some type of web server that’s another option. According to the developer’s website there are problems with the current version of MyKeePass and the iPad. See for details on the fix and next version. Thanks. The download from Dropbox worked flawlessly. After 5 days with the iPad, I must say I have been impressed. Thanks for this post, Jason. I got an iPad last week for reasons similar to yours. I’m surprised at how useful it is. A smartphone screen is too small and a notebook computer is too bulky. I found your post while looking for ways to use KeePass on the iPad. Your list of other useful applications is also helpful. Jason, Thanks for all the tips! Have you found a good app for the ipad that works well with google docs?